Preheat a 12 inch cast iron skillet over high heat with 2 tsp. of the oil. When the skillet is hot add in the sliced peppers, onion, chili powder, and ½ tsp. of salt. Sauté the peppers and onions for about 4 minutes or until they are golden and have softened slightly. Add another 2 tsp. of oil to the hot skillet. Add in the chicken fajita mixture and sauté until the chicken is cooked through. 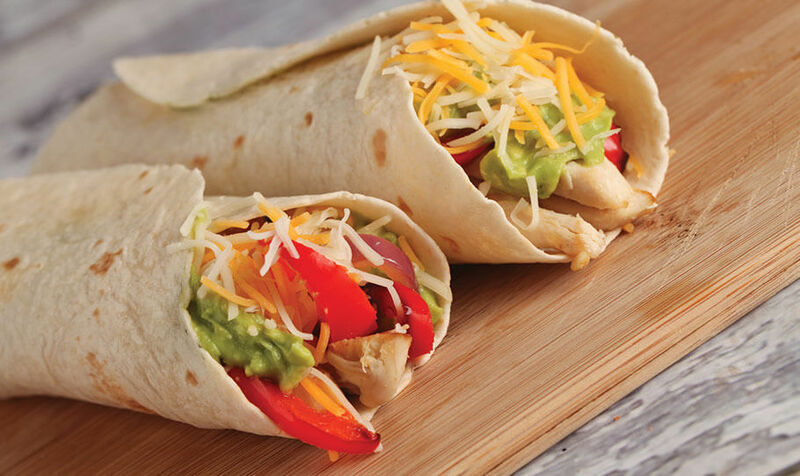 Serve the fajitas in lettuce cups or on tortillas and top generously with toppings.